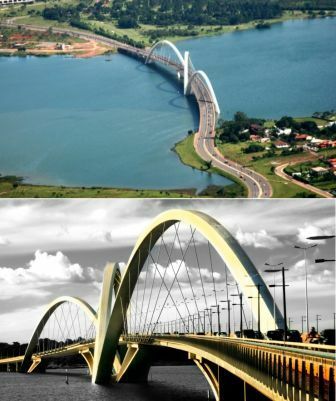 The Juscelino Kubitschek Bridge, Brasilia, Brazil is a lesson in elegant bridge design. The 3 huge arches diagonally hopping over the deck of the bridge give the structure an amazing visual fluidity and make the whole 1.2km bridge look effortlessly cool. Since being built the bridge has won awards for its design but is still massively underappreciated on a wider scale.